I have FINALLY finished my first set of math centers for sale at TpT!! Why wait until November to start preparing your materials for December? Start early and sit back and relax when the busy holiday season rolls around. To jump on board the "Christmas in July TBA bandwagon" I'm offering this unit for just $5.00 until the end of the week. Click here to check it out. Lauren -- THIS IS FABULOUS! 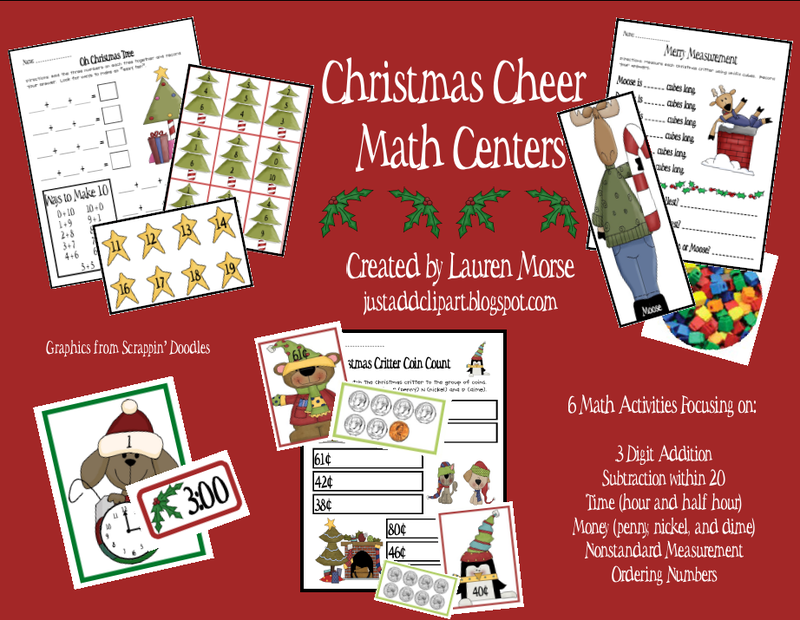 December is such a hectic time so what a blessing to have my math centers already done before school starts! These are "Joyously" cute and the kids will love them! Can't wait to get it downloaded!